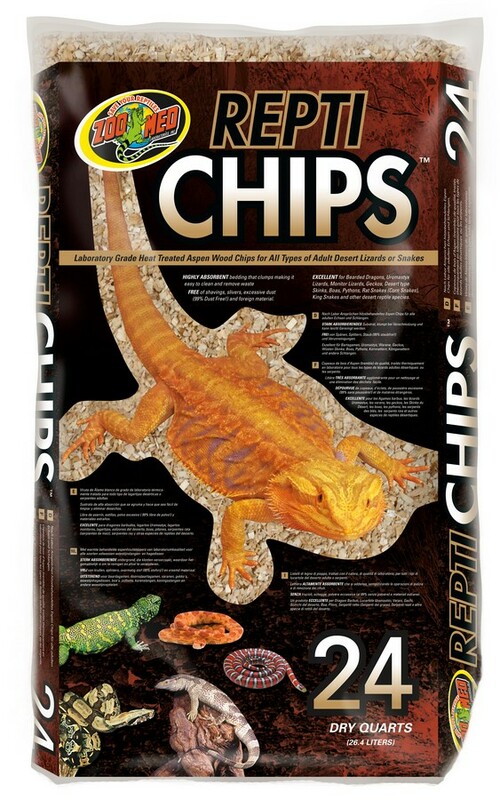 Repti Chips™ | Zoo Med Laboratories, Inc. Laboratory Grade Heat Treated Aspen Wood Chips for all types of adult desert lizards or snakes. 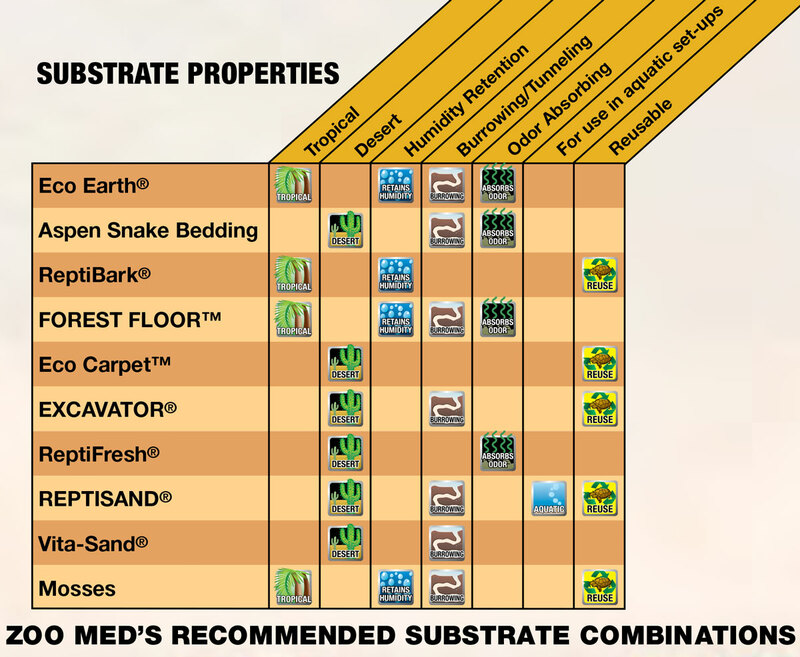 Highly absorbent bedding that clumps making it easy to clean and remove waste. Free of shavings, slivers, excessive dust (99% dust free!) and foreign material. 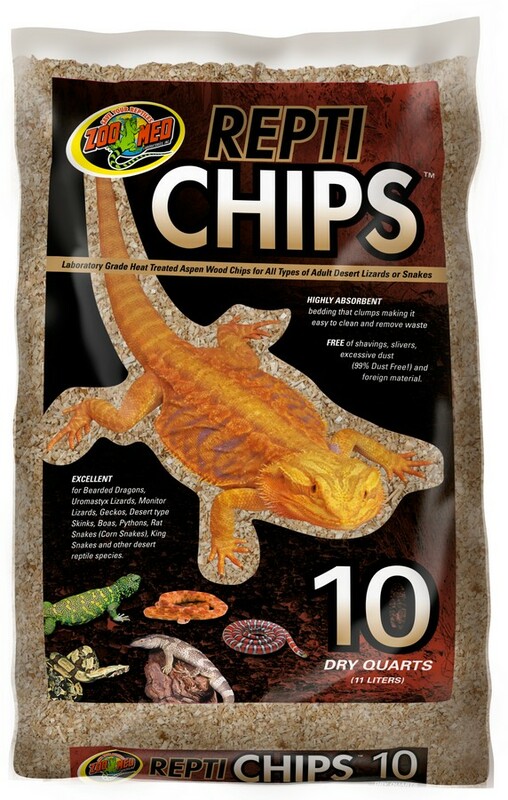 Excellent for Bearded Dragons, Uromastyx Lizards, Geckos, Desert type Skinks, Boas, Pythons, Rat Snakes, (Corn Snakes), King Snakes, and other desert reptile species.